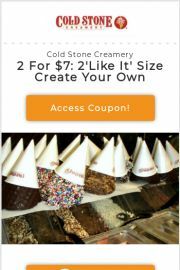 If you’re looking for the best Branson Cold Stone Creamery coupons, you’re in the right place! Did you know that our ice cream is made fresh in every shop? It is true! 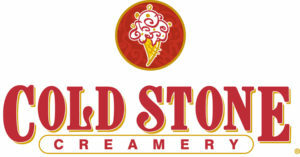 Churned from the best ingredients and blended with your choice of candy, cakes, fruits or nuts on a frozen granite stone we proudly serve the best tasting, made-to-order ice cream you’ve ever had. When You Have allergies, or need special considerations Before visiting, please consult with our Ice Cream FAQ to find out more. You’ll find information on our fermented products, lactose-free and low-carb options, as well as nut and egg allergy concerns and kosher certification.